Oh my goodness! Its august which means Autumn is finally on the way. Not that you would know it from this bleeding heat wave we are having. I am currently suffering with a bout of tonsillitis. The antibiotics seem to be doing their part though so thats fine. Hopefully I will be back in order in no time. I have 3 works in progress on the go at the moment. Theres these octos. I thought I would production line them, make a few heads then some tentacles. However these are currently inquarentine as you cant make them when you are sick – wouldnt want to risk passing on anything to those tiny little babies! 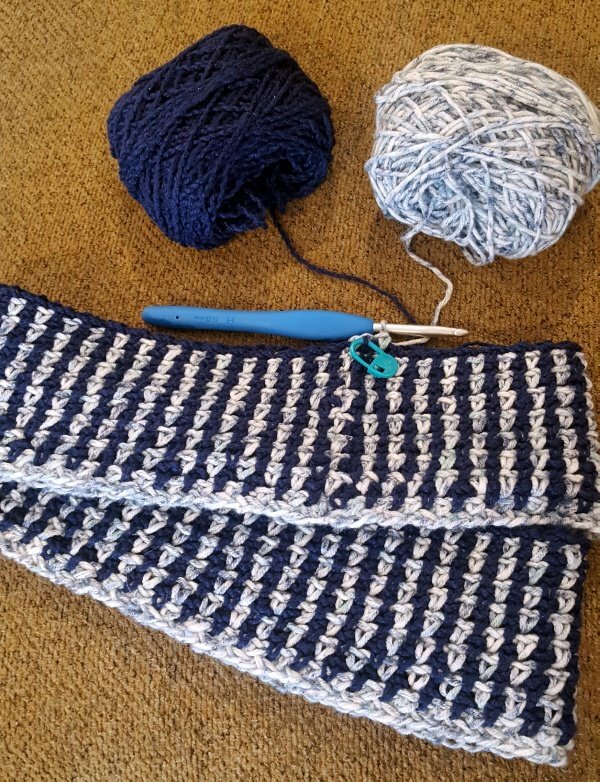 I have been working on this Linen Stitch Cowl, using 2 balls of discontinued yarn that have been languishìng in my stash for around 4 years. Its slow going as its quite repetetive, but its a good pattern. 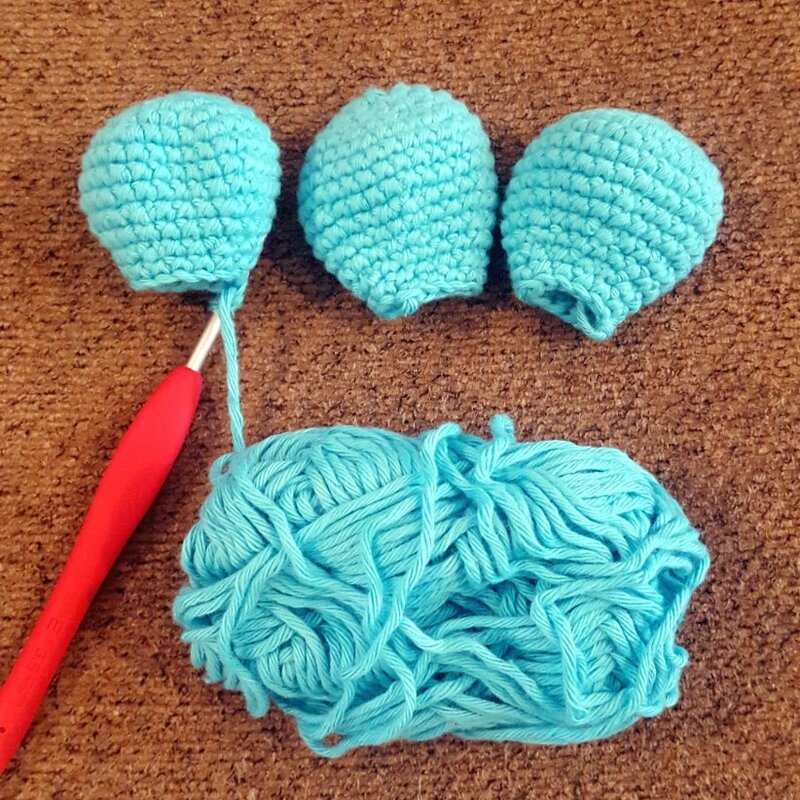 It is designed in such a way that you only have to sew in 4 ends in total (2 if like me you carry the tails whilst crocheting row 2 and the final row). And finally, I have just this morning started this chunky shawl using Cygnet Bumper Boucle. It should be super warm and squishy for its recipient whoever that may be. Your projects are beautiful! I find it shocking you actually thought ahead to autumn. I hadn’t actually considered this autumn refreshing thing. You’re right. Just around the corner. Any then before you know it it will be the festive period! This year I think I am on top of it though! Thoughts of autumn are all that are getting me through this unbareable warmth! I hope you’re feeling a bit better by now, tonsillitis is no fun! 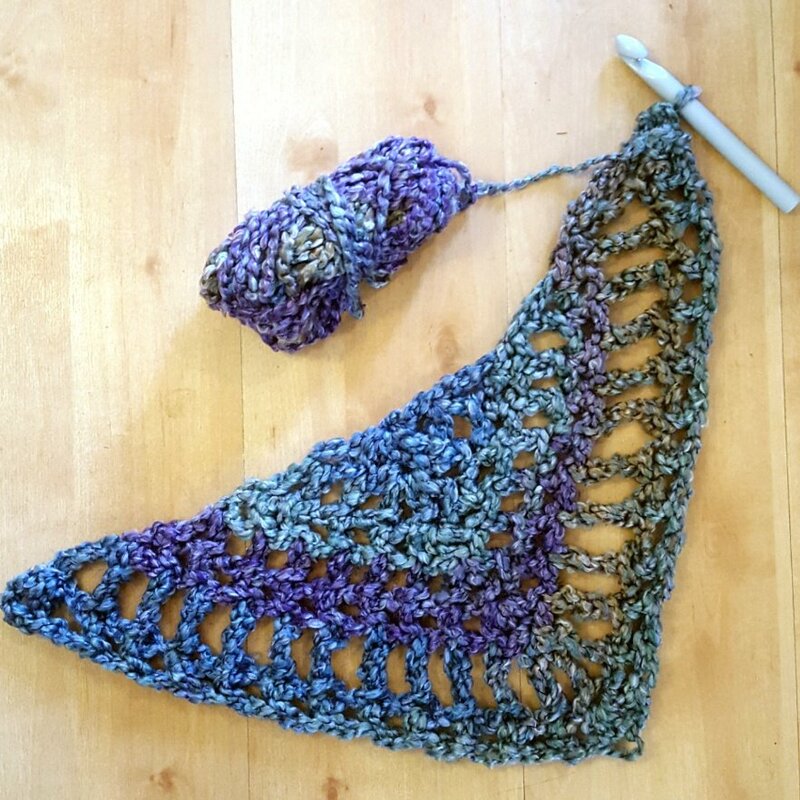 the cowl is lovely, such a pretty stitch, and I’m looking forward to seeing how the shawl turns out. sorry to hear you are ill (though this was a week ago, so hopefully you’re better now!). Surely a virus can’t live on yarn for weeks before finding a new human host? I do understand why they have to take precautions of course, I just didn’t think it was possible!